Established in 1525, Sedbergh School is located in the north of England in a beautiful location between the Lake District and Yorkshire Dales National Parks. It is one of the few remaining ‘full’ boarding schools left in the UK – there is no weekly or flexi-boarding and very few day pupils so the 9 boarding houses offer a genuine community where school life runs 24 hours a day, 7 days a week – there can be few more inspirational places to live, work and learn. Sedbergh offers GCSEs followed by over 20 subjects at A Level, in which over half of candidates typically achieve A*/B. 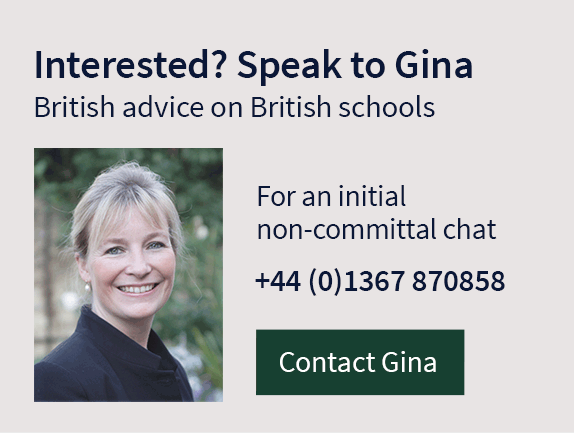 Rather than having a ‘one style fits all’ policy, each pupil is considered as an individual and meets on a weekly basis with their tutor, who has responsibility for tutees’ academic and social development. Full-boarding allows plenty of time for extra lessons and one-to-ones, whilst tutors monitor progress and liaise between subject teachers, houseparents and parents. Each of the 9 boarding houses has its own colours, flag, motto, emblem and dining room, and pupils quickly develop loyalty to their house and camaraderie across the year groups. Residential teams of houseparents, matrons and house tutors are responsible for pupils’ welfare and development, and prefects ensure younger pupils always have someone to go to. Inter-house competitions range widely from sport to academic challenges, music and drama, allowing all pupils to showcase their talents. The School has an international reputation for sport and many Sedberghians compete at national and international level in a wide range of different sports, including rugby, hockey, sailing, shooting and cricket. An impressive 35 sports, all with excellent facilities, are offered, enabling every pupil to find one they enjoy, whilst the knowledgeable and enthusiastic coaching team work tirelessly with the pupils to ensure that each one is challenged and able to fulfill their potential. Art is a popular subject and the department offers textiles, ceramics and print studios, a Mac-suite and a dark room. Opportunities to perform in drama and music are many and varied and the staff challenge and engage pupils in well-supported productions from classical Greek dramas to the annual musical, which involves nearly all pupils. The music season ranges from a major choral cathedral performance to masterclasses by leading international musicians and informal Coffee Concerts on Sundays. Old Sedberghians include Robert Swan, the first man to walk to both North and South Poles, and Simon Beaufoy, writer of 2009’s Best Picture Oscar winner Slumdog Millionaire. In 1993 a Sedbergh rugby ball was sent into space on the Shuttle ‘Discovery’. Pupils chatted with the astronauts who all signed the ball before it was returned to Earth.